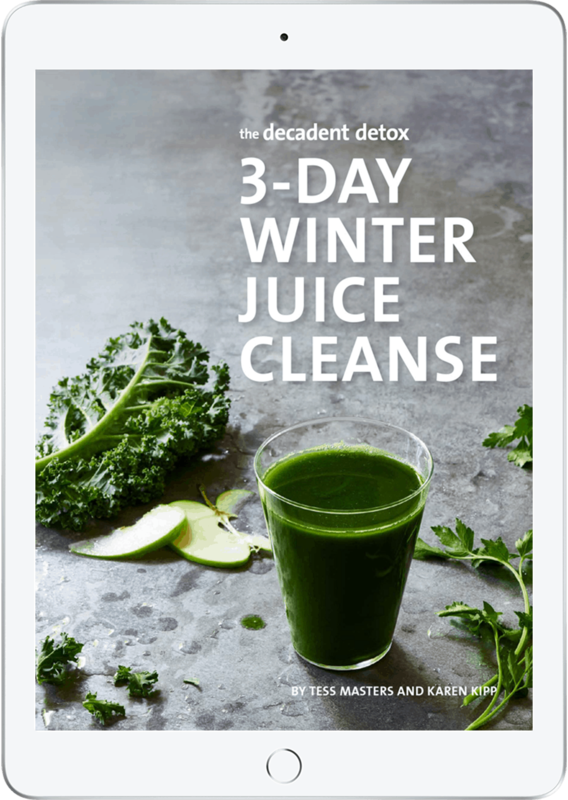 Our 3 Day Winter Juice Cleanse plan contains a three day menu of delicious detox juice fast recipes and comprehensive information on what to do and how to do a juice cleanse program safely and effectively for weight loss, to reboot your body, and get healthy. If you want to learn all about juice cleanses and are looking for an easy gentle 3 day juice cleanse with amazing juice recipes to reboot your health, we’ve got the best three day juice cleanse on offer! The benefits of juice cleansing. How to a juice cleanse for 3 days for the best results. How to transition into and out of a juice cleanse or juice fast safely and effectively. Learn more about our 3 day juice cleanses. Why is a 3 day juice cleanse beneficial? The difference between juicing for cleansing and juicing for fasting. What equipment do you need for the juice cleanse? Can you substitute ingredients in the juices? No-sugar options for the recipes. Should you do a 3 day juice cleanse? What are the benefits of a 3 day juice cleanse? What our 3 day juice cleanse includes. Is it safe to do a 3 day juice cleanse? Gauge your current state of wellness. The power of a 3 day juice cleanse. When to do a 3 day juice cleanse. Join our 3 day juice cleanses. To achieve optimal wellness we need to cleanse our bodies actively. Critics and skeptics argue that our bodies to do this for themselves, continuously. Since our bodies have not had time to evolve to stand up to this onslaught, they need help, even with the major organs of elimination—the liver, skin, intestinal tract, and kidneys—all online and at work. By freeing our bodies from overloads of toxins and waste products we get these organs functioning as efficiently as they can. In addition to clearing toxicity, the body needs a rest from digestion. On average, the human body expends 50-70% of its daily energy ration on digesting food. When juice cleansing and juice fasting, we give our bodies a bit of R&R, a brief furlough from this non-stop labor, and our systems can devote a greater share of energy to detoxification, healing, and repair. Juice cleansing and juice fasting aren’t modern inventions, yet today we need them more than ever. We often get asked to weigh in on “juicing versus blending,” like it’s a contest or a prize fight. We both drink juices and smoothies, with different benefits in mind, and recommend both. Green smoothies and whole blended juices retain the nutrients in skins, piths, and seeds, along with fiber, which slows down the assimilation of sugars and pushes food through the digestive system, binding and bulking toxins to assist the body in expelling them. Fresh juices, either with their pulp or strained, provide a more concentrated, nutrient dense food, and facilitate a less vigorous digestive process, reserving energy for detoxification and regeneration. This is especially helpful in periods of illness or during a cleanse. Specifically for juice fasting, we recommend drinking fresh juices strained to remove as much of the pulp (fiber) as possible. The difference between juicing for cleansing and juicing for fasting? When juice cleansing (consuming juices with other clean solid foods), drink juices on an empty stomach to maximize absorption and benefits. We recommend choosing fruit-based juices during the day to help break down toxins in the body. Vegetable-based mineral-rich juices are more alkalizing, and ideal for afternoons and evenings to help rebuild the body and prepare it for rest. While juice fasting (consuming juices, water, broth, and no full-fiber smoothies or solid foods), it is necessary to strain all juices to ensure that solid pieces and large amounts of fiber are not consumed. Solid food and fiber will encourage the digestive process to begin again, and will make you hungry. Straining is not necessary if you’re juice cleansing without juice fasting. Most of the juice recipes in the 3 day juice cleanse contain about 100-150 calories, and are packed with vitamins and minerals. If you feel hungry and would like more juice (more calories) during the juice cleanse or are experiencing low blood sugar, you can repeat any of our juice recipes during the same time period on any given day. For example, if it is morning, repeat that day’s morning juice. Note: If you intend to double the juice recipes during our 3 day juice cleanse, you will need to double the shopping list provided in the program. Juicer: a pulp-extracting, masticating (slow-speed) or centrifugal juicer for the juices. Strainer: Fine-mesh metal or plastic to strain any remaining pulp from the juices. See our Resources Page for specific product recommendations. Can you substitute ingredients in the juice recipes? We understand that some ingredients called for in our 3-Day Juice Cleanse may be unavailable or expensive, or that allergies may be an issue. For such cases, we have substitutions. These swaps shouldn’t significantly alter the taste or nutritional content of the recipes. When substituting ingredients in our juice cleanse, you’ll need to change your shopping list accordingly. The juices in our 3 day juice cleanse are designed with balance in mind, and are naturally low in sugar (fructose). If you want to go even lower, keep the lemon or lime, but eliminate the sweet fruits (apple, orange, pineapple, etc), and substitute the equivalent weight in cucumbers. The flavor will change, but these highly alkalizing juices will heighten the effects of the juice cleanse. If you are experiencing any of these symptoms a 3 day juice cleanse can help. When you feel good, you can achieve more and enjoy your life. 3-Day Winter Juice Cleanse Menu – 9 juices, broth, popsicles, break-fast recipes. Please consult your healthcare professional before participating in our 3 day juice cleanse, particularly if you have existing medical conditions or concerns. While juice fasting is a safe and healthy practice for the majority of people, we don’t recommend it for those with critical heart conditions, diabetes, or chronic conditions such as cancer, especially those actively undergoing oncology treatments. Juice fasting is unsafe for pregnant or lactating women, too. *Please read our Pre-Fast Guidelines thoroughly for the most comfortable and effective juice cleanse. Before you begin a 3 day juice cleanse, it’s important to gauge your state of wellness. This will get you started on a good footing and enable you to track your progress. Take note of how you feel before the detox process, and then compare that to how you feel during and after the juice cleanse. For us, no wellness tool stands out more for its ability to repair and renew the body in a short timeframe than clean eating and juice cleansing and juice fasting. Giving the body a rest from solid food and nurturing it briefly with easily digested, nutrient-dense juices is an incredible healing practice. We’ve both been juice cleansing and juice fasting for over 20 years, and for the last five years, have led tens of thousands of people through our 3 day, 7-day and 14-day cleanse programs and witnessed incredible results. Read the testimonials from our participants. When should you do a 3 day juice cleanse? We recommend a 3 day juice cleanse or juice fast at the change of each season, so we’ve developed four specific programs using seasonal produce for summer, fall, winter, and spring. Eating in harmony with nature and in keeping with the seasons supports the body’s built-in health and cleansing processes. Foods harvested in the spring, like asparagus and greens, promote detoxification after winter; while foods grown in the summer, like berries, melon and cucumber, help to cool our bodies and keep us hydrated. In the colder months, warming root vegetables help to strengthen and sustain the body. By eating local, seasonal produce we support our communities, reduce our carbon footprints, and get fresher, better-tasting food that’s easily available. Join the four seasons separately. This may be your first time juice cleansing, or you may have juice fasted with us before, or tried juice fasting or juice cleansing elsewhere. Whether you’re here to initiate or expand on your juicing practice, we welcome your participation in our 3-day juice cleanses. The authors and publisher will not be held liable for the use or misuse of information in The Decadent Detox 3-Day Juice Cleanses. The information shared here and in our juice cleanse programs does not replace the guidance of a qualified medical practitioner.